Amir Makleff, CEO of BridgeWave Communications, discusses the elements needed for small cell backhaul. 1. Does the backhaul remain the primary obstacle for widespread small cell rollouts? 2. 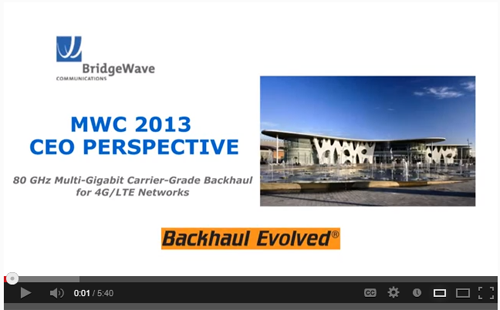 How does BridgeWave's FLEX4G address the LTE backhaul challenge? 3. What is happening with BridgeWave relative to small cell backhaul? 4. Is time-to-market the critical factor that carriers look to when considering wireless backhaul? Oclaro has achieved a key milestone towards the development of a 100G coherent CFP2 pluggable module based on a new generation of indium phosphide (InP) photonic components that can deliver the high density, low power dissipation, and reduced cost. Specifically, Oclaro demonstrated that its transmitter can achieve the high electro-optic bandwidth and low power dissipation to meet the requirements of an analog coherent CFP2. The integrated 100G transmitter is based on Oclaro's proven high-volume InP technology and replaces two discrete narrow linewidth tunable lasers (typically external cavity iTLAs), and an external Mach-Zehnder modulator with a single component that serves as both the transmitter and as the local oscillator for the coherent receiver. 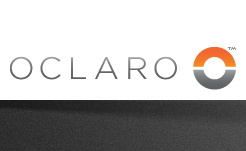 "With this accomplishment, Oclaro has reaffirmed its leadership position in indium phosphide technology and is now in an excellent position to deliver a new generation of highly disruptive pluggable modules for coherent applications," said Jim Haynes, President of Global Business for Oclaro, Inc. "We are excited that Oclaro will enable its customers to drive the growth of coherent technology into the metro and long haul markets where higher density and lower power dissipation are critical requirements and where pluggability offers significant benefits." The coherent CFP2 production ramp is expected for mid-2014. 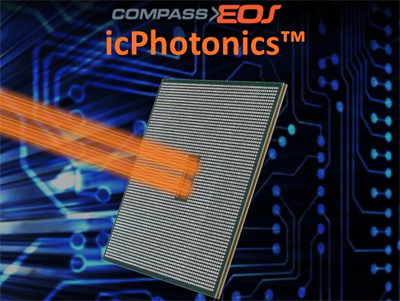 Compass-EOS, a start-up based in Israel, unveiled its radical silicon-to-photonics router that essentially leverages an on-chip optical mesh and electronics to route high-densities of 100GbE and 10GbE. The company's silicon-to-photonics implementation, which it calls icPhotonics, simplifies router design by bringing the entire backplane on-chip, thereby enabling petabit-class scalability, significantly smaller footprint and power consumption, and easier implementation of software-defined networking capabilities. The on–chip optical integration ensures QoS routing at high utilization rates and congestion-free multicast packet handling. 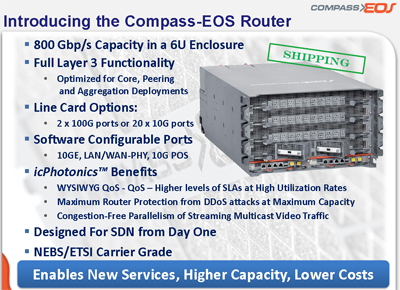 Compass-EOS said it is also able to ensure maximum router protection from DDoS attacks at maximum capacity. The company's first product, r10004, is a carrier-grade, modular platform offering 800 Gbps Capacity in a 6U enclosure. It offers 2 x 100G ports or 20 x 10G ports with full Layer 3 routing functionality for core, peering or aggregation deployments. The r10004 router has been shipping since late 2012 and is currently deployed by several top-tier carriers, including a Japan-based cable provider. Investors in Compass-EOS is backed by Comcast Ventures, T-Ventures, Cisco Systems, Pitango Venture Capital, Benchmark Capital, Northbridge Venture Partners and Crescent Point. The company has raised over $120 million to date. Silver Spring Networks, which supplies a networking platform for energy utilities, announced the pricing of its initial public offering of 4,750,000 shares of common stock at a price to the public of $17.00 per share. This equates to approximately $81 million. The shares are expected to begin trading on The New York Stock Exchange on March 13, 2013 under the symbol "SSNI." Silver Spring Networks customers include major utilities around the globe such as Baltimore Gas & Electric, CitiPower & Powercor, Commonwealth Edison, CPS Energy, Florida Power & Light, Jemena Electricity Networks Limited, Pacific Gas & Electric, Pepco Holdings, Inc., and Progress Energy, among others. The FCC approved the proposed merger of T-Mobile USA and MetroPCS, including the transfer of control of a number of Personal Communications Service (PCS) and Advanced Wireless Services (AWS-1) licenses and leases, and one lower 700 MHz license. “With today’s approval, America’s mobile market continues to strengthen, moving toward robust competition and revitalized competitors. We are seeing billions more in network investment, while the courts have upheld key FCC decisions to accelerate broadband build-out, promote competition, and benefit consumers, including our broadband data roaming and pole attachment rules. Today’s action will benefit millions of American consumers and help the U.S maintain the global leadership in mobile it has regained in recent years," stated FCC Chairman Julius Genachowski. On October 3, 2012, MetroPCS agreed to merge with T-Mobile USA (a subsidiary of Deutsche Telekom) in a deal that creates a much strengthened No.4 mobile operator in the U.S. market with deeper network coverage and the need for an accelerated path to one common LTE network. Despite operating incompatible legacy networks (CDMA and GSM), the companies said rapid handset turnover (60% - 65% per year) will make for a relatively quick migration of MetroPCS customers to LTE. 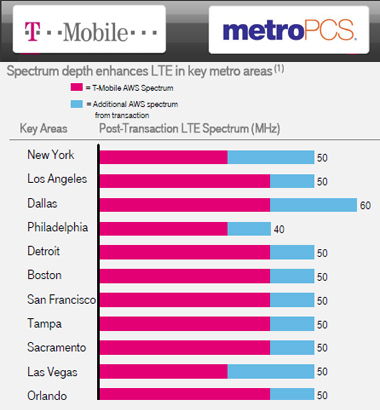 MetroPCS customers will also benefit from T-Mobile's much more extensive network. The merged company will use the T-Mobile name and brand. It will be traded on the NYSE. The company’s headquarters will be in Bellevue, Washington and it will retain a significant presence in Dallas, Texas. 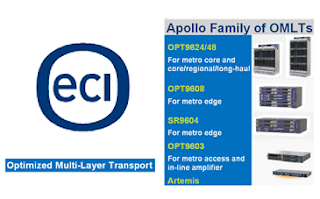 ECI Telecom successfully transported non-regenerated 100G traffic using its Apollo OMLT platform. The test traveled over the the Jonah international submarine cable, owned by Bezeq International, over a total distance of 4,600 km, from Tel Aviv to Bari, Italy and back. The 100G trial was carried out over Bezeq International’s live operational submarine fiber, in conjunction with the Tera Santa Consortium, as part of its research on long-distance adaptive coherent channel behavior. This trial demonstrated the advanced capabilities of ECI 100G transmission system and technologies in compensating for non-linear channel impairments and chromatic dispersion utilizing advanced SD-FEC algorithms. The Optimized Multi-Layer Transport (OMLT) architecture is ECI’s vision for your next-generation packet-optical transport network, with flexible convergence from metro access to core. The Apollo OMLT is optimized for next-generation optics, and it brings transparent aggregation and transport of services over 10G to 100G WDM links. "ECI once again demonstrated the powerful performance of our innovative coherent technology with SD-FEC algorithms by transmitting 100G link over Bezeq International's submarine cable for 4,600Km with no regeneration. The 100G channels from the Apollo OMLT allow submarine cable operators to increase significantly the network capacity over expensive links with minimal network adjustment. ECI already deployed and trialed 100G solutions in various customer networks and now we also displayed our capability over submarine cables." 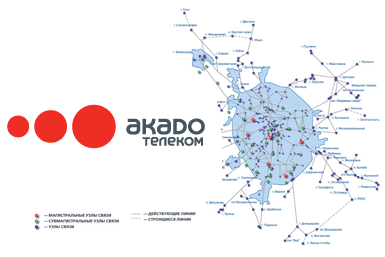 Akado Telecom , a major multi-service cable network operator in the Moscow region, has selected Infinera's DTN and ATN optical transmission platform for its metro optical network. Akado Telecom provides a full range of advanced communication services based on its own fiber-optic network, which extends more than 18,000 kilometers. Akado's multi-service network provides high-speed residential Internet access, voice services, and cable TV services, as well as a broad range of enterprise services for businesses. The Infinera DTN platform, powered by 100 Gb/s photonic integrated circuits (PICs), is designed to scale up to 6.4 Tb/s of transmission capacity per fiber today and support services with speeds up to 100 GbE. The Infinera ATN, a scalable WDM transport platform with multi-service aggregation, brings the intelligence and integration of the Infinera Digital Optical Network to the metro edge. The Utah Education Network (UEN) and the University of Utah have deployed Ciena’s 6500 Packet-Optical Platform. The network provides 100G connectivity between the University and its new downtown Salt Lake City data center and to UEN member organizations. Ciena’s technology will also provide high-performance optical transport to support UEN, which operates a statewide backbone for K-12 educational schools, Head Start organizations, higher education institutions and public libraries. Financial terms were not disclosed. Separately, Ciena announced that Ritter Communications, an Arkansas-based communications provider, has deployed Ciena’s packet networking and converged packet optical technologies. 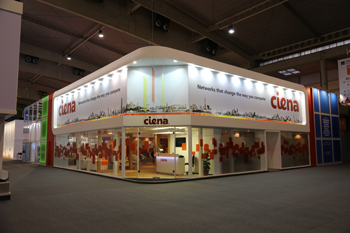 The deployment includes Ciena’s packet networking solutions, including its 5150 Service Aggregation Switch and 3930 Service Delivery Switch, as well as the 6500 Packet-Optical Platform equipped with WaveLogic Coherent Optical Processors. Worldwide, network security appliance and software revenue grew 10% in 2012 to $6.3 billion, and is up 7% from the year-ago 4th quarter, at $1.7 billion, according to a new report from Infonetics Research. Integrated security appliances have gained share every quarter since 4Q11. 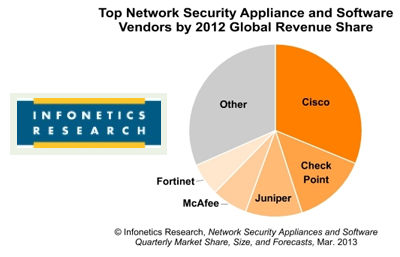 In 2012, Cisco, Check Point, Juniper, McAfee, and Fortinet led the network security market, though Infonetics expects possible share changes in 2013. "In the network security appliances and software market, vendors are actively jockeying to take advantage of competitor slip-ups," observes Jeff Wilson, principal analyst for security at Infonetics Research. "Challengers like Palo Alto, Fortinet, Sourcefire, and Dell SonicWALL will continue to make life interesting for Cisco, Check Point, and Juniper in 2013. When they find success, it will be because they exploit dis-satisfaction with the pricing, efficacy, performance, and feature breadth of the products from the top 3 vendors."